As the NBA season begins, Sonics fans around the world are reminded of the 10 long years without an NBA team. The Sonics left but the fans are still here. Every season that comes and goes brings back memories, good and bad…mostly good. Going to games with dad, huddling around a bar to watch a game or hosting a ton of friends over when a good matchup comes around is what we miss. An NBA team in Seattle is much more than just watching men shoot hoops. It’s about community, togetherness and pride. 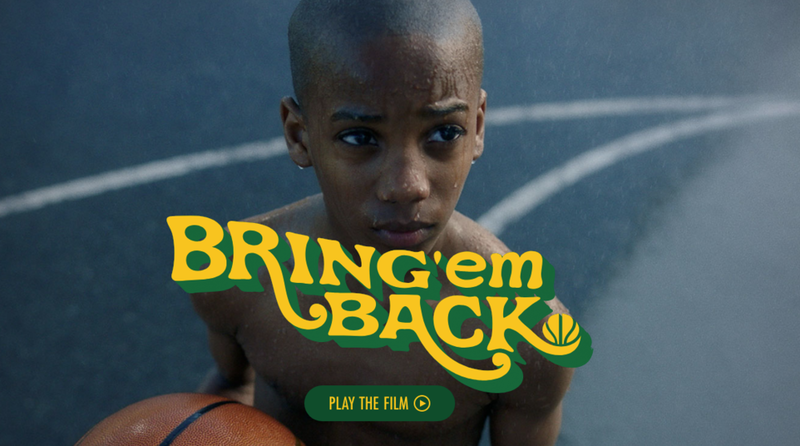 Our friends at Undeard/Of created something special for us Sonics fans. The truth is, we did lose our team but the fans never left. Our roots run deep and there is no one that can take that away from us.